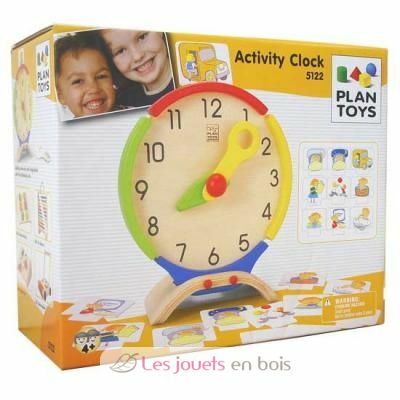 This activity clock includes activity cards, which are placed on top of the clock so that children can match the time with the activity. Features 9 basic activity cards and 3 blank cards for parents to create based on different family activities. Children can explain the activity cards or practice telling the time, which will encourage developing their language skills. 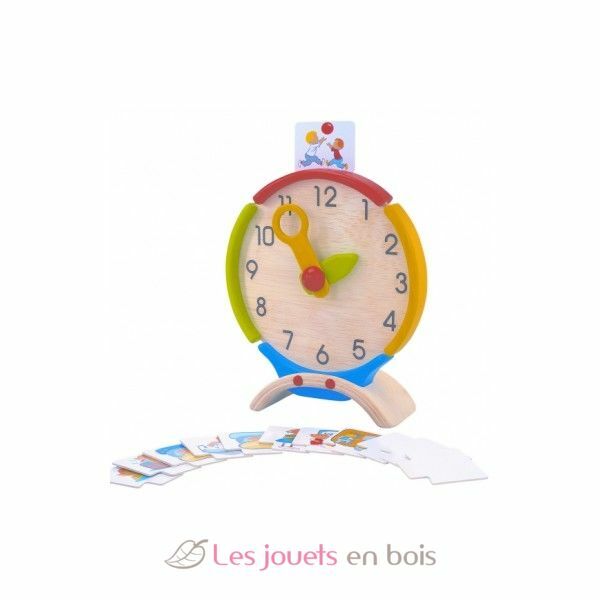 Children can place the activity card on the clock matching the related activity to a specific time. Parents can specify a time and encourage the child to move the clock hands and match the activity card accordingly. The activity clock teaches children about time, daily activities and discipline. Parents should praise children when they can do it and advice if they are not able to do so.